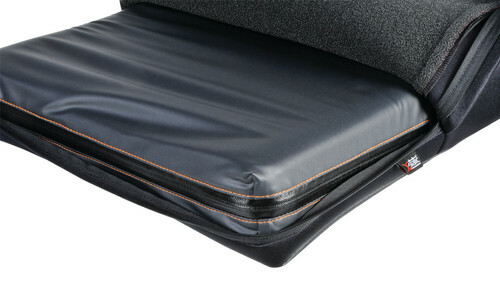 The JAY® Ion® is a comfortable skin protection and positioning wheelchair cushion composed of a multi-layered foam base, moisture resistant inner cover, and an anti-microbial outer cover. 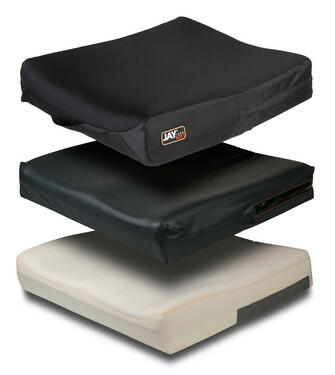 The Ion wheelchair cushion features a dual-layered foam base for a combination of structural support and comfort. 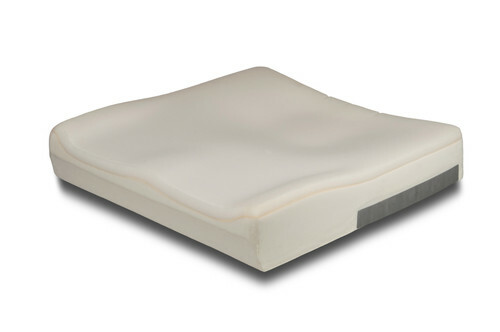 For optimized immersion for each individual, the foam's firmness is determined by the cushion width, which directly corresponds with client weight. 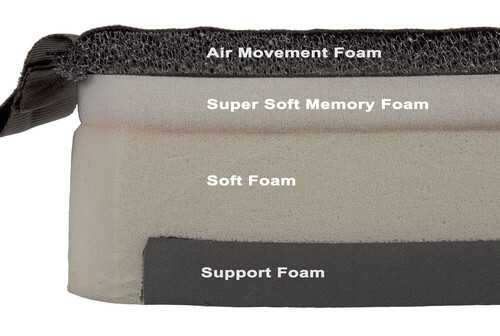 The Ion's top layer of soft, Visco memory foam wheelchair seating conforms to each individual and distributes weight over a larger area for pressure reduction and maximum comfort. For convenience and protection, the JAY Ion features a dual-cover system. The water-resistant inner cover is easy to clean and includes anti-wicking seam thread and Aqua-guard zipper for foam protection. The machine-washable, stretch outer cover utilizes naturally anti-microbial, silver-impregnated X-static® fiber. A layer of 3DX spacer fabric promotes airflow for additional skin protection. The Ion's outer cover now includes a handle for easy removal, zipper cover flap for a clean look, waterfall seams for enhanced comfort, and a QR scan code on the label for quick access to this web page. Depth Range 14" to 24"
Weight Capacity 14" to 21" widths: 300 lbs. 22" to 24" widths: 500 lbs.